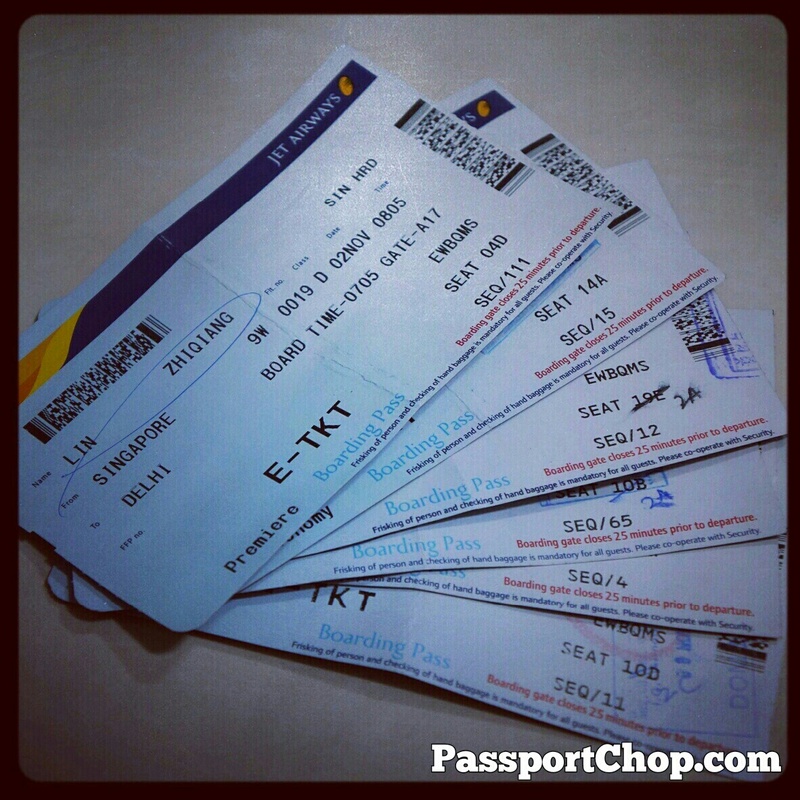 This just about sums up PassportChop’s recent trip to India with Jet Airways in numbers. 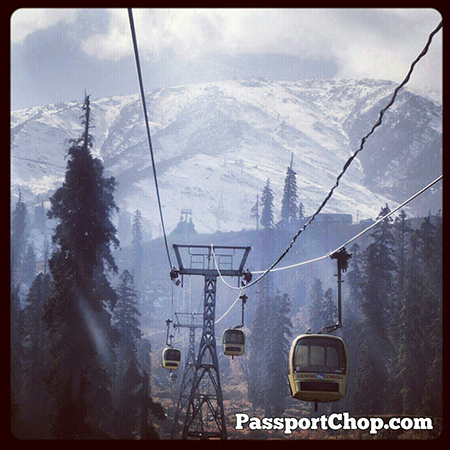 Follow our Instagram snapshots below (or on http://www.instagram.com/passportchop) for highlights of our trip to Udaipur & Srinagar. 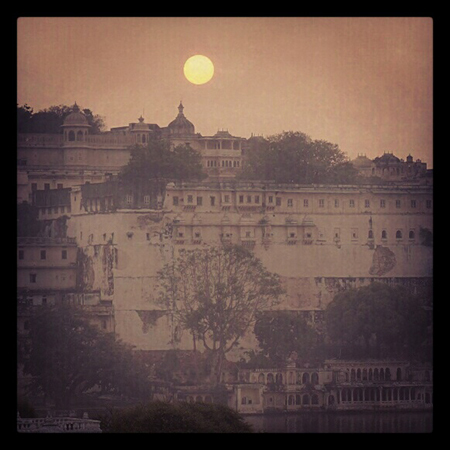 Udaipur is a city in the state of Rajasthan. Its beautiful lakes have earned it the title of “City of Lakes” and “Venice of the East”. The views of the sunrise and sunset over the lakes are also breathtakingly beautiful as can be seen in the following picture: Sunrise over the City Palace Udaipur. This was captured from the balcony of the majestic Leela Palace Udaipur where all rooms enjoy a great view of Lake Pichola. For tours of the Udaipur city, we strongly recommend Luxe India as your preferred travel agency – our tour guide Narayan was very knowledgeable and able to tell us great stories of the City Palace’s history and share interesting nuggets of information about the city that kept us entertained throughout the tour! 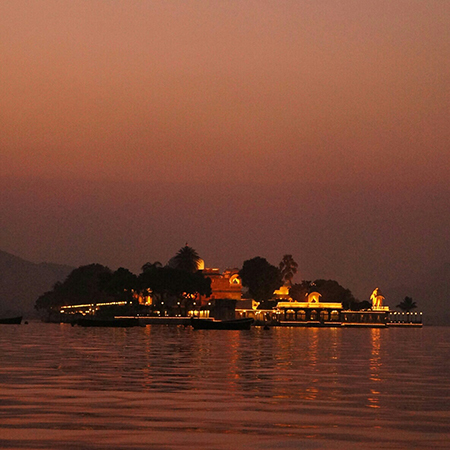 Sunset over Jag Mandir – an island in the middle of Lake Pichola. 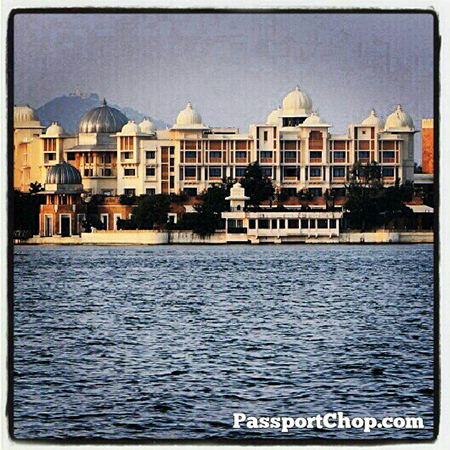 The beautiful Leela Palace Udaipur where we enjoyed great views of Lake Pichola and the City Palace. We also felt very welcome here, thanks to the hospitality of the General Manager Graham and his attentive and helpful staff. Srinagar is the summer capital of the Jammu and Kashmir state. It is well-known for its houseboats and beautiful lakes. 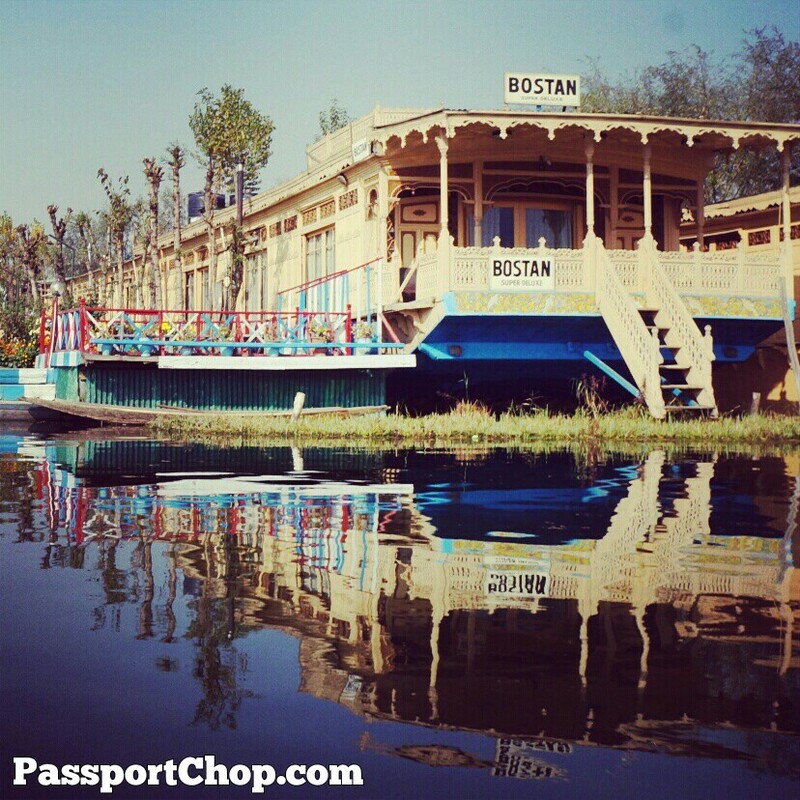 We stayed in the beautiful Bostan houseboat where we enjoyed delicious Kashmiri cuisine and great views of Dal Lake as well as the hospitality of our butler Abdul and the owner of the Bostan-Gulistan houseboats Guru. Guru can arrange day trips from Srinagar such as a tour to Gulmarg (2 hours drive away) where you will be able to take a cable car gondola ride from 8800 feet to 10200 feet where you can get up close with the glaciers of Pir Panjal range. Located 3 hours from Srinagar, Sonmarg (also known as “Meadow of Gold”) offers beautiful views of the Thajwas glaciers and its surrounding mountain ranges. 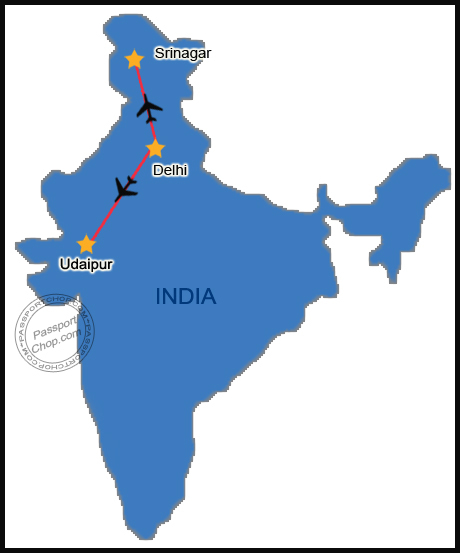 The flight connections to Udaipur and Srinagar is made much easier with Jet Airways’ introduction of a second flight service between Singapore and Delhi in October 2012. It connects passengers from Singapore like us seamlessly with more onward flights on Jet Airways’ network. For example, in my suggested PassportChop.com 7-Day Mystical India – Udaipur & Srinagar Itinerary, you would have noticed that upon arrival at Delhi at 11.20 am (via the new 8.15am flight service), I only have to wait about 2 hours for my next flight to Udaipur via Jet Airways. I have observed that the cabin crew of Jet Airways, be it for international or domestic routes, offers very good service and are always attentive to our needs. It is no wonder that Jet Airways had won the Business Traveller Awards 2010 for Airline with Best Business Class Service in the World. 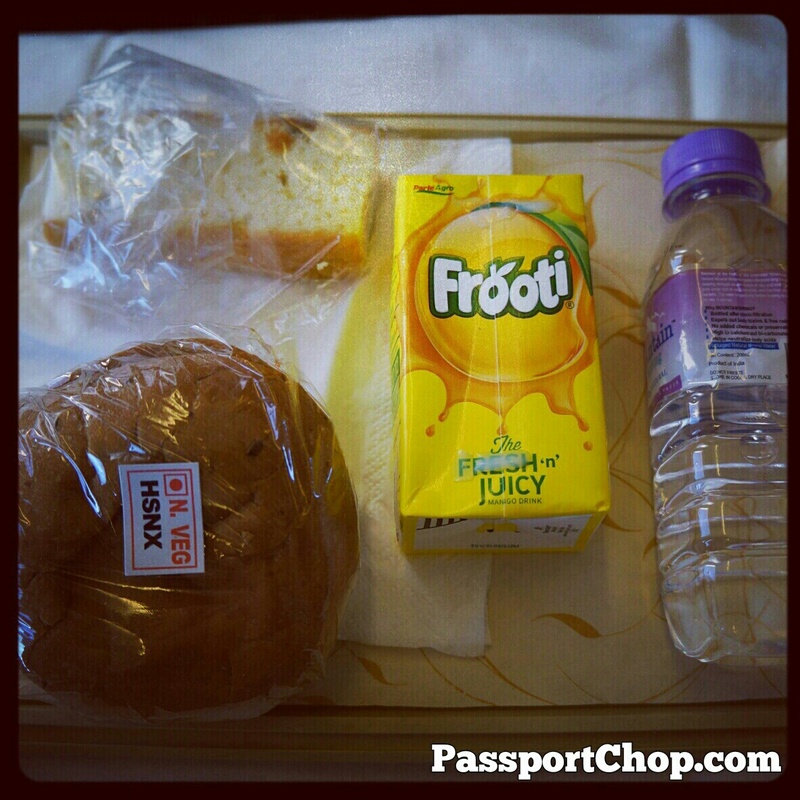 I was also pleasantly surprised that Jet Airways offer complimentary refreshments for short domestic flights e.g. our Udaipur flight which was about an hour long. For that flight, we enjoyed a snack of Chicken Sandwich and Fruit Cake with Fruit Juice and Water. Jet Airways had won the Best In-flight Entertainment during the Avion Awards and we experienced first hand why this is so with its 300 hours of quality programming of a wide variety of movies from Hollywood and Bollywood. There is also a Juke Box application where we created a playlist from a library of over 100 audio CDs. This was available for our international flight between Singapore to Delhi; there was no in-flight entertainment on our domestic routes to Udaipur and Srinagar (didn’t matter since the flight was just about an hour long). 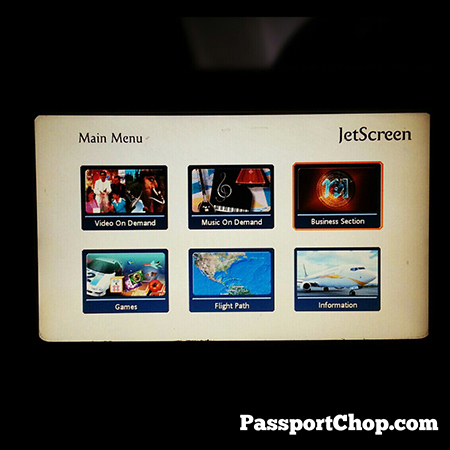 We had the opportunity to experience the Premiere Class at Jet Airways (its Business Class equivalent) and I was very happy with its comfortable leather seats with a wide 44″ seat pitch. 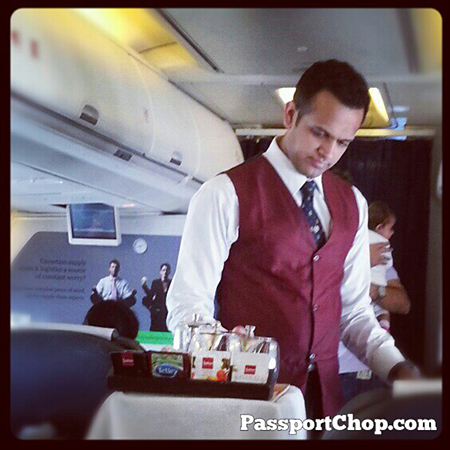 Of course, we experienced the award-winning Business Class service too! Onboard meals at Premiere Class was excellent – there was always a great selection of flavorful Indian specialities or tantaslising Continental cuisine served with Jet Airways’ cabin crews’ unique Asian-Indian hospitality and warmth. 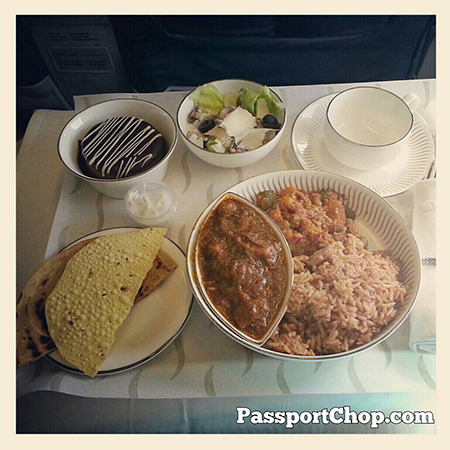 We enjoyed the tasty Chicken Dhansak with chapati and roti – something we had not expected would taste so good as a meal onboard a plane! Jet Airways’ partnership with Expedia Affiliate Network (EAN) has made travel planning to Jet Airways’ destinations with its offerings of budget and luxury hotel bookings within India and across the globe on Jet Airways’ website www.jetairways.com. Valid til 30 November 2012 only – Guests of Jet Airways can enjoy an exclusive 5% discount (applicable on room charges exclusive of taxes) at more than 160,000 hotels in over 20,000 cities across the world by booking their preferred hotel on jetairways.com or jetkonnect.com. Guests can also enjoy great savings by simply entering couponcode ‘JET5HOTELS’ on the ‘Traveler Information’ page. Corporate travellers may book one night or two night group packages and avail discounts in any hotel offered by the Expedia Affiliate Network. 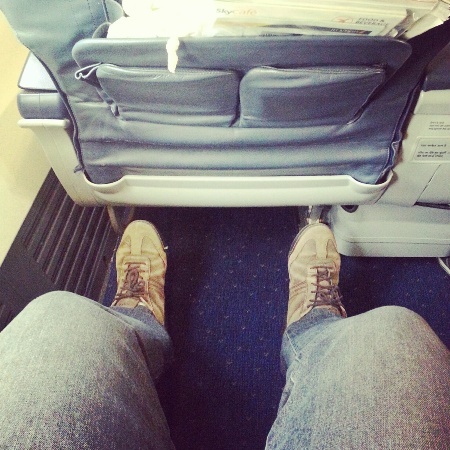 JetAirways has the lousier service I have ever had. The staff is rude, the food is lousy and the replies from them took ages to receive. I am surprised that you are still recommending your readers such a lousy service just because they are sponsoring your trips. Shame of you! Hi Roland. Sorry to hear about your unpleasant interactions with Jet Airways. I suggest that you let Jet Airways know the details of any particular incidents where you encountered poor service & food and see what they can do for you. I note that Jet Airways are quite prompt in addressing customer complaints on their Twitter account @jetairways. My review of Jet Airways services is based on my experiences on the six domestic and international flights with them during the trip where the service provided and food served have all been consistently good – both in economy and premiere class. And I am quite sure others on the same flight received the same level of service and good food provided. Hi Roland, I have to disagree with you on Jet Airways’ service & food. I fly to Delhi and Mumbai quite frequently for work, at least 5-6 times a year and I have always taken Jet Airways as it has never let me down in terms of affordable fares and good service. I take economy class by the way. Hi Zhiqiang, thanks for your article. I have always wonder what else is interesting in India beyond the typical tourist circuit of Delhi-Agra-Jaipur. The pictures really showed me a different side of India. I am looking forward to more of your articles about Udaipur and Srinagar. thks for sharing. came across your site when planning my India trip. udaipur and srinagar looks good. will see how i can fit them into my trip with Jaipur and taj mahal. my bf n i r considering a trip to india. have a few questions to ask you. is the water safe to drink? need to bring our own water? is it safe? the kashmir region got war right? is the food very spicy? is it safe to eat? Do not drink tap water or even filtered water at restaurants. Our stomach might not be able to take their filtered water. Drink mineral water from the bottle. Get your mineral water from reliable sources e.g. hotels, restaurants. A lot of reputable hotels and restaurants understand tourists’ discomfort with water so would surely prepare bottles of water. Kashmir is safe now – even the UK Foreign Office had lifted travel restrictions to the region. Food is safe to eat as long as the source is reputable e.g. proper restaurants and hotels; our stomachs might not be able to take food from roadside food stalls. You can request to tone down the spiciness when you order. Crowdedness depends on where you are going – we are quite comfortable with the crowds with Udaipur and Srinagar – popular attractions in big cities at weekends or holidays will naturally be crowded. You can engage a reputable guide e.g. Luxe India to bring you around India. In Your’s posting informative information of Srinagar places for trip. Any one enjoys houseboats in Lake of Srinagar and many more. Everyone can get useful info about India. I cannot WAIT to read more of this. I just required some information and was looking on Google for it. I visited each and every page that came on initial page and didn?ˉt got any relevant outcome then I thought to check out the second one and got your blog. This is what I wanted! I am thankful to discover blog writers like you who content very useful topics. I am enthusiastic about your publish and would like to know you more. 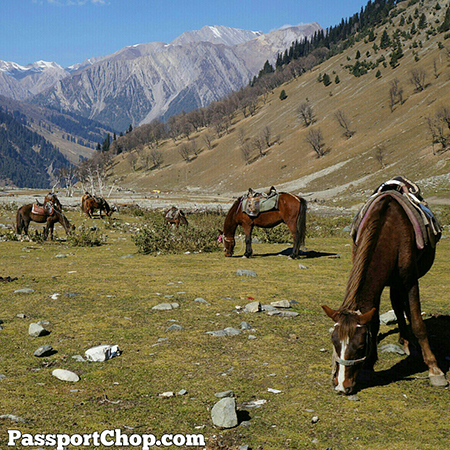 Located 3 hours from Srinagar, Sonmarg (also known as “Meadow of Gold” just love this piece of scenery with views of the Thajwas glaciers, mountain ranges with the horses. India is such an amazing country with so much diversity. Thanks for all the travel tips and recommendations. Great to have from a reliable source.